>Receive a FREE membership and 45 minutes of drive time from Evo Car Share (over $50 in value). *Offer valid for new EVO members only. 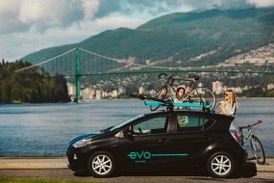 Evo is car sharing built for British Columbia with rooms for bikes, skiis and all your cargo. 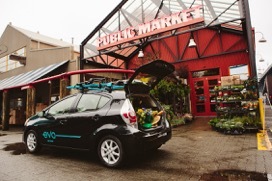 Evo has made car sharing easier by allowing you to pick up and drop off anywhere in the home zone, getting you from here to there with room for your friends. Simply sign-up, find a car, unlock and inspect it and you can hit the open road. You only pay for what you use and gas, insurance and parking are all included. Visit https://evo.ca for more information and register online using your promo code to receive your special offer.